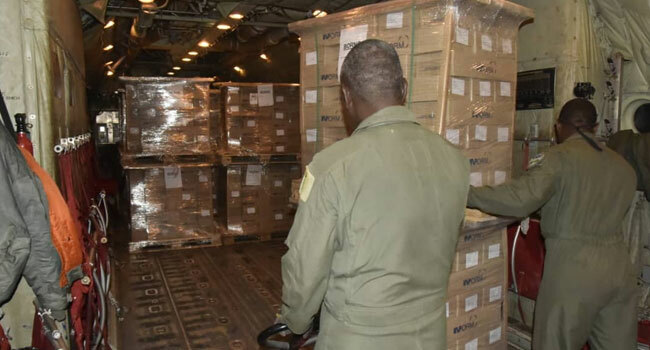 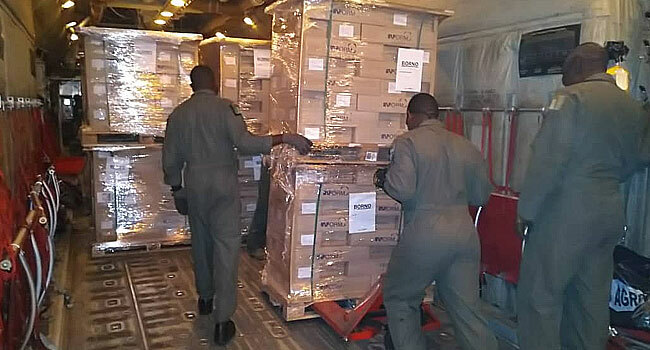 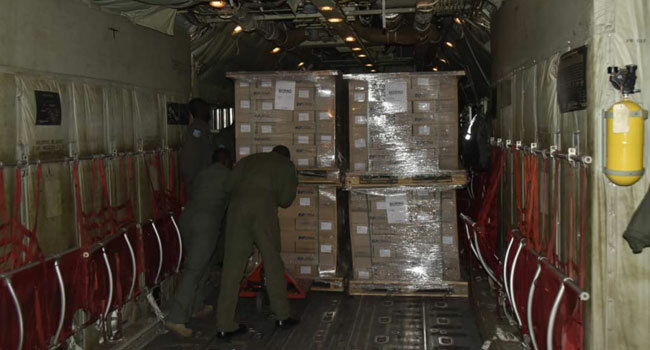 The Nigerian Air Force has commenced the airlift of electoral materials for the Independent National Electoral Commission (INEC) across the country ahead of the general elections. 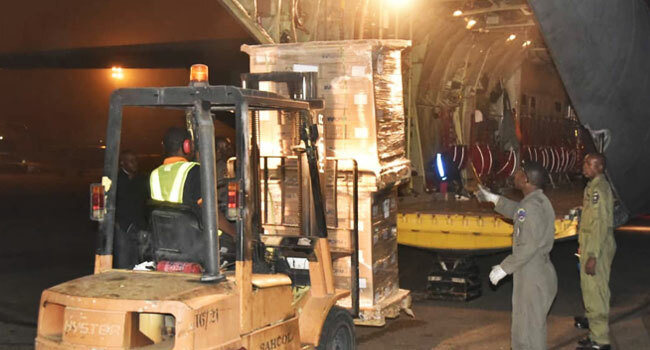 “The materials were duly delivered by the C-130H aircraft crew to teams of INEC and Central Bank of Nigeria (CBN) officials together with security personnel waiting at the various airports,” he explained in the statement. 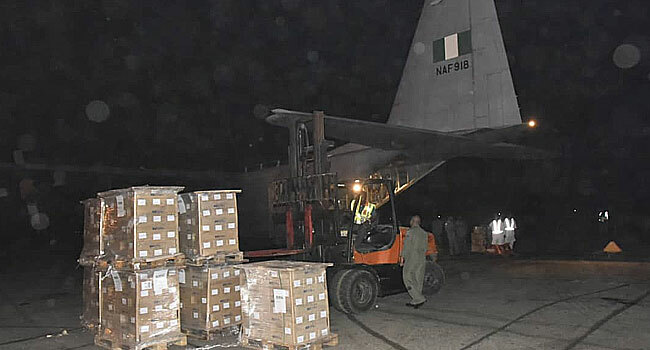 “It is pertinent to state that the transport aircraft are deployed solely to provide airlift support to meet INEC’s logistics requirements, in fulfilment of NAF’s constitutional role of providing Military Aid to Civil Authority,” he added. 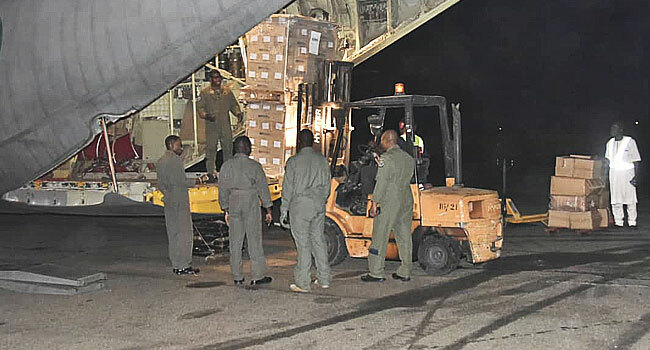 The general elections are billed to commence on Saturday, February 16, 2019 beginning with the Presidential and National Assembly Polls, to be followed by the Governorship and Houses of Assembly on March 2, 2019.